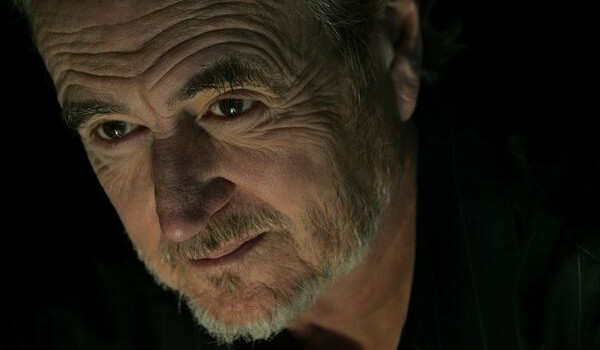 From his controversial debut with The Last House on the Left in 1972, to the self-referential success of Scream in 1996, Wes Craven has continually redefined the horror movie. Now he has produced and co-written (with his son) the sequel to last year’s effective remake of his own The Hills Have Eyes. Matt McAllister caught up with the master of terror. How did the idea for The Hills Have Eyes 2 come about? It was kind of spontaneous. We thought about following the storyline from the end of last year’s movie, with a bunch of tourists being attacked, then send a squad in to find them. But we felt that was a little too close to Aliens. We thought it would be more interesting if they were almost kids, who are in the military, but for totally different reasons. The film features a terrifying unknown enemy and is dotted with references to the war in Afghanistan. Is it a comment on ‘the war on terror’? No, not at all. We didn’t want to make a political statement; we wanted to make an existential statement. I have my political opinions, but we were more interested in how these characters react to a situation that is so different from what they trained for. In Afghanistan and Iraq you’re talking about trained troops, equipped troops. But when the National Guard go in they’re not well enough trained or well enough equipped and it’s not their fault. They realise too late that they’re fighting people who know the territory like the back of their hand. That was the kind of terror we were interested in. You weren’t ever tempted to remake the original Hills Have Eyes 2, then? No! It was always going to be a new story. I don’t have any great loyalty to that movie. It was what it was, but it was shot on a very, very low budget and we were just trying to get a production going. We had all sorts of problems and it didn’t exactly do that well, so we weren’t about to go out and try again! What was it like working with your son? You know, it turned out really well. I think, like any father and son, we were a little bit wary about going into a room and locking the door for a month! But we both stepped up and he didn’t bring any of the son stuff and I didn’t bring any of the dad stuff and basically we were two writers. We had common ground in areas that writers normally would not, so it was nice. Are audiences harder to shock nowadays? I suppose there is much more of a sense of acceptance, or a tolerance, on the part of critics now. I think part of that comes from a new cynicism, almost, or certainly a hardness to the horrors of everyday. It’s created a generation who are willing to take on violence in a way that earlier audiences couldn’t. I think earlier audiences would look at films like I Spit on Your Grave and Texas Chainsaw Massacre and say, “Oh my God, the people who made that must be crazy!” But now the media is so drenched with what’s going on in the real world that there’s no longer that kind of reaction. There’s been a return to raw 1970s-style horror movies in recent years. Do you think that’s down to the similar political climate then and now? Yeah. Both times we’ve been immersed in wars that seem to have no end, and have been far beyond what our leaders thought they were going to deal with when they went in. I think there’s real despair and dismay about what our government has gotten us into. We had this horrendous cataclysm of 9/11, which shocked people right to their foundations. Everybody wanted to get back at somebody, and the Bush administration seized that opportunity. Certainly now, the overwhelming opinion is that it was not the right fight to pick. Are horror movies a good outlet to express this fear and despair? I think so. I’ve always said that horror films are the nightmares of the nation. There have to be stories to go with the dark areas of rage and of terror, and that’s what horror films do. We’re in a universe where we’re killing civilians in order to get at people who are willing to blow up themselves and cut heads off and show it to the camera. So you have an environment that’s incredibly deep and disturbing, and one of the ways that people, especially younger people, deal with that is to have these very hard-hitting stories that put their psyches to the test. It’s just a way of dealing with that trauma. Are we ever likely to see you direct a new Elm Street picture? The telephone hasn’t rung, that’s the simplest way to put it. That project, like many of the pictures I did at that point of my career, was one that I sold, so New Line Cinema actually owns Freddy Krueger. I have a percentage of that character, but it’s up to them. Is there another interesting Freddy picture to be made? It depends what they do with it. There’s this paradigm of Freddy as the presence of people’s nightmares. It’s powerful, and my interest is to keep it pure and not just a joke-fest or a slaughter-fest, you know? With Freddy Vs Jason I felt they were kind of cheapening the franchise. What horror movies have made an impact on you in recent years? Hostel got a lot of criticism, but I thought it was very hard-hitting and much better than I was expecting it to be. They got a hell of a lot on the screen with a miniscule budget, and beautifully exploited the buildings and the environment. They made it feel real. I think they did a very good job. Are you a fan of the Saw movies? I wouldn’t say I’m a fan exactly! I don’t like torture particularly. I guess I had a little bit in Last House on the Left, but it’s not something that I cared about putting on screen. For the first time in my life, it’s so much in the news and on the screen and it’s very shocking. But things will come out that shock the public and filmmakers will pick up on that. Is it true that remakes of Shocker and The People Under the Stairs are on the cards? There has been interest expressed and I do have partial ownership of both of them, but there’s nothing concrete. I wouldn’t be surprised, put it that way. But it will be way down the line. Probably the first thing that we are going to do is a remake of Last House on the Left.